Hello there! Today I have my favorite type of card... one layer clean & simple. I'm using new SU colors, Crisp Cantaloupe card stock and Strawberry Slush ink. The images are from Serene Silhouettes and Teeny Tiny Wishes. 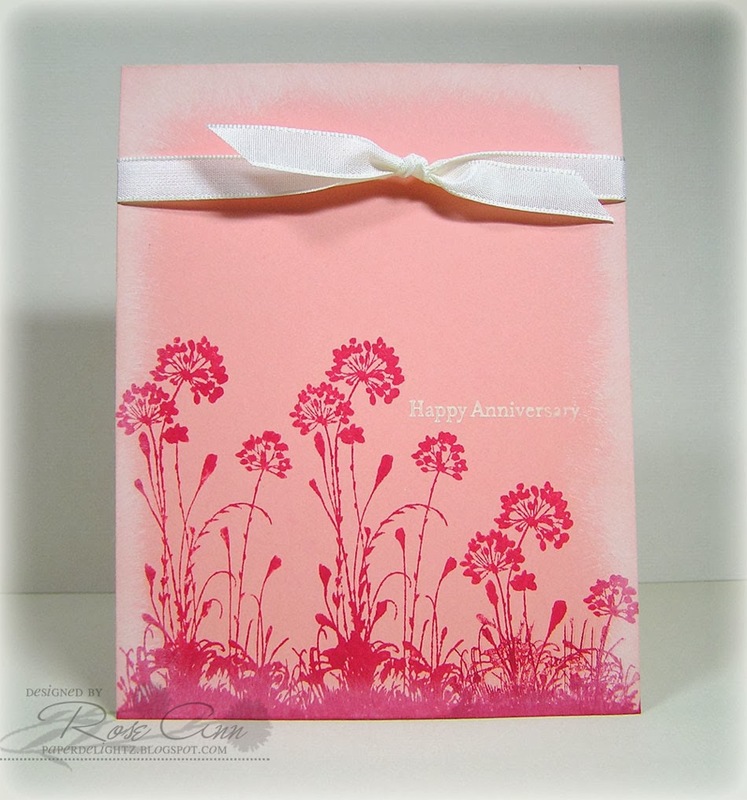 Ivory ribbon and ink for the sentiment and border completes the look. I hope you enjoy my simple card, and have a wonderful weekend!! Beautiful, love the misting around the edges! Simply beautiful, Rose Ann. This is such a wonderful, clean and elegant design. All content, unless otherwise noted, (including text, photographs, and designs) are ©Rose Ann Reynolds. They are shared for personal/non-commercial use and inspiration only. Thank you for your support!